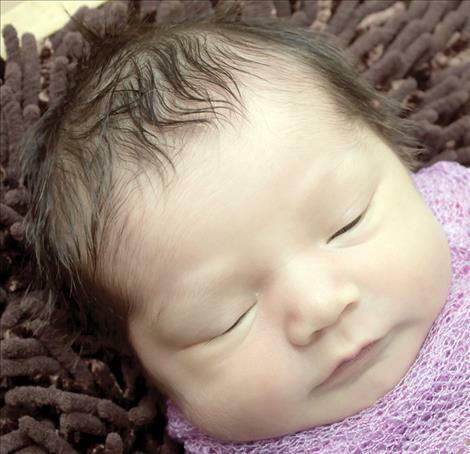 RONAN — Aaliyah Lynn YellowBird was born Feb. 5 at St. Luke Community Hospital. She weighed 6 pounds, 13 ounces. Parents are Thomas and Citrene YellowBird of Ronan. Paternal grandparents are Rita and Tom YellowBird of Ronan. Maternal grandparent is Kim Snyder of Ronan. 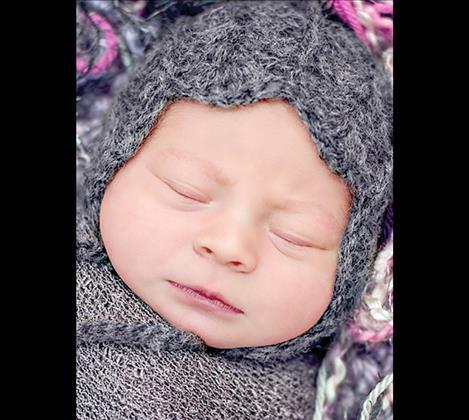 POLSON — Aysia Caralee’nah Khan was born Feb. 27, 2016, at the Nesting Place in Providence St. Joseph Medical Center. She was 18 inches long and weighed 6 pounds, 2 ounces. Her parents are Jessica Groves of St. Ignatius and Zill Khan of Missoula. Maternal grandparents are Cara Jones and Larry Groves. Maternal great-grandparents are Rita and Kenny Jones. 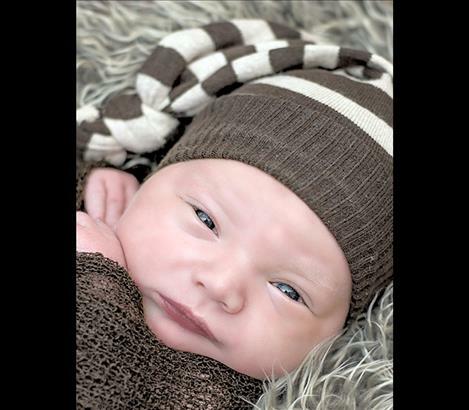 RONAN — Trenton and Katie Harding of Ronan are proud to announce the arrival of their first child, Daniel Gregory Harding, who was born Feb. 8 at St. Luke Community Hospital. Daniel weighed 6 pounds, 5 ounces. Paternal grandparents are Greg and Kim Harding of Ronan. Maternal grandparents are Dan and Janey Salomon of Ronan and great-grandparents are Ralph Salomon of Ronan, Helen Salomon of Ronan and Steve and Cheryl Wilson of Kalispell. 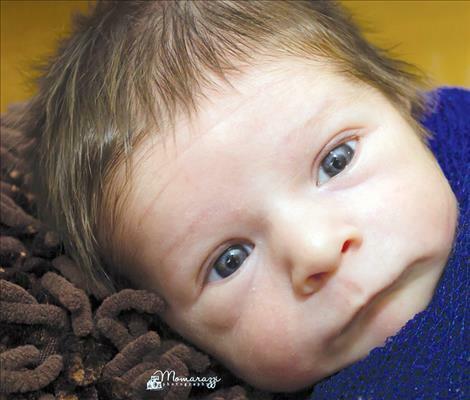 POLSON — Alex Hightower is proud to announce the birth of his brother, Dimitrius Joe Hightower, born Feb. 25, 2016, at the Nesting Place in Providence St. Joseph Medical Center. He was 20 inches long and weighed 8 pounds, 7 ounces. Dimitrius’ parents are Sahriha Camacho and Maxim Hightower of Polson. Maternal grandparents are Lavinia Curl and Rudy Camacho. Paternal grandparents are Perri and John Hightower. 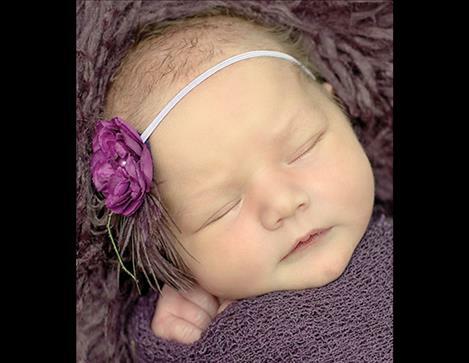 POLSON — Penelope Anne Davis-Jarvis was born Feb. 19, 2016, at the Nesting Place in Providence St. Joseph Medical Center. She was 19 and three-quarter inches long and weighed 7 pounds 4 ounces. Her parents are Jamie Dennis and Johnathan Jarvis of St. Ignatius. Penelope has an older brother Gaebriel. Maternal grandparents are Patricia and Michael Dennis and maternal great-grandparent is Nina Kasperowski. Paternal grandparents are Deborah and Phillip Jarvis. Paternal great-grandparents are Virginia and Roland Rubel. 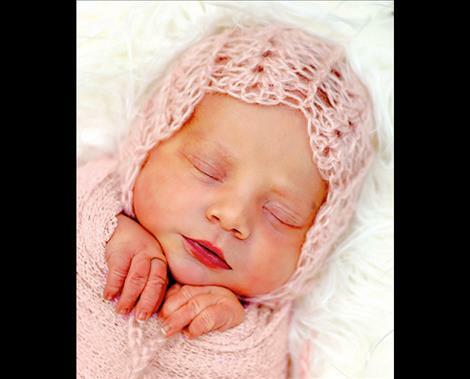 POLSON — Tiara Nannette Wheeler-Foster was born Feb. 24, 2016, at the Nesting Place in Providence St. Joseph Medical Center. She was 20 and one-half inches long and weighed 7 pounds, 6 ounces. Tiara’s parents are Madisen Wheeler and Lane Foster of Hot Springs. Maternal grandparents are Tracey and Kevin Wheeler. Maternal great-grandparents are Geraldine and Dale Terrillion. Paternal grandparents are Maryann and Kevin Foster. Paternal great-grandparents are Cindy Benson and Kevin Foster Sr.